Putting his years at business school to good use, Shaquille O’Neal has gone ahead and trademarked, through his licensing company Mine O’Mine Inc. (the good people behind Shaq.com), the name Shaqfighter. You’ll no doubt agree that it’s so frustrating when someone monetises such a commonly used phrase like “You’re Fired!”, or the happy birthday song, so this turn of events is sure to upset a lot of people. It seems a bit short-sighted, given the popularity of the word – for instance, what will be the national sport of Shaqtober? Does Shaquille O’Neal understand the good will that he is flushing down the toilet by turning such ubiquitous and obvious a word as Shaqfighter into a commodity? Shaqfighter comes hot on the heels of the former basketball star’s mobile game Shaqdown. That game is set after a zombie apocalypse, the only survivor being Shaquille O’Neal. He has to fight, with a basketball, through the undead hordes. Surprisingly it received middling reviews, but the title proves that Shaq has a formula – think of something that exists, somehow force Shaq into it, trademark – that has worked for decades and continues to reap profit. One wonders what is up next in the Shaq-sights. Shaq Raider? Metal Shaq Solid? Mission ImShaqible? Does he have aims highter than video games? Will we one day see Barack Obama rebranded as BaShaq Obama? You can check the patent out for yourself if you really want to, and mull over the existential questions it raises – did somebody really sit down and type out every single one of those words? Did a Post-It note somewhere really have “TRADEMARK SHAQFIGHTER TODAY” written on it? Was somebody paid to come up with Shaqfighter? 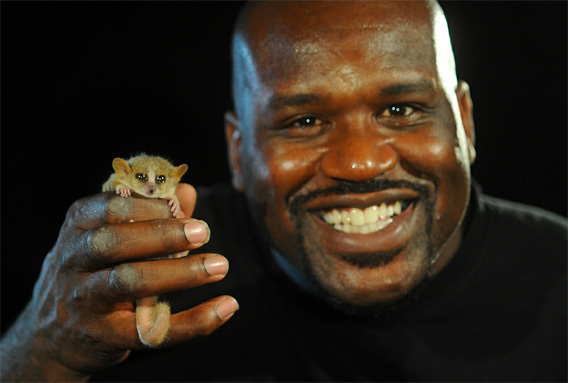 Is it possible that we will be allowed to live the rest of our lives without reading the word Shaqfighter ever again? Let’s hope so, for our collective sanity. No word as of yet on when the game that must not be named will be released, but you can be sure that we will let you know the moment anything else turns up in this incredible ongoing story.